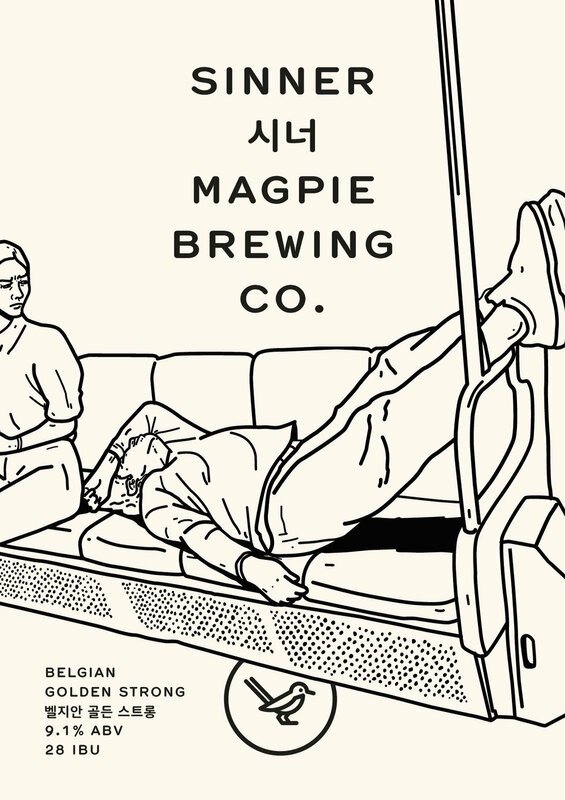 Sinner — Magpie Brewing Co.
맥파이 벨지안 시리즈 두번째! 시너는 최초의 벨지안 골든 스트롱 '듀벨(Duvel-악마)'에 대한 오마주. 도수가 높지만 느껴지지 않을 정도의 달콤함. 풍부한 과일향과 몰트 풍미가 황금빛 컬러만큼 치명적인 벨지안 골든 에일. The second in our Belgian Series, Sinner is our annual Belgian Golden Strong ale, an homage to the original, Duvel. Warm and fruity, it's sweet and perfectly golden.